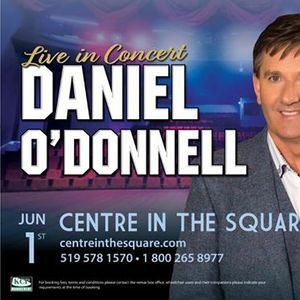 The affable and unassuming international singing star Daniel O'Donnell, one of Ireland's best-known performers from Australia to Alaska, continues to push out the boundaries of his career both on stage and TV in 2018 and 19. Daniel's remarkable career has moved on to a new level with his success as a TV presenter, just another facet to his ever-expanding list of entertainment achievements. He is the only artist in the world to score a hit in the UK album charts every year since 1988, an unprecedented and unbroken 30-year span and in doing so, he has outshone everyone from Michael Jackson and Madonna to U2 and the Rolling Stones.